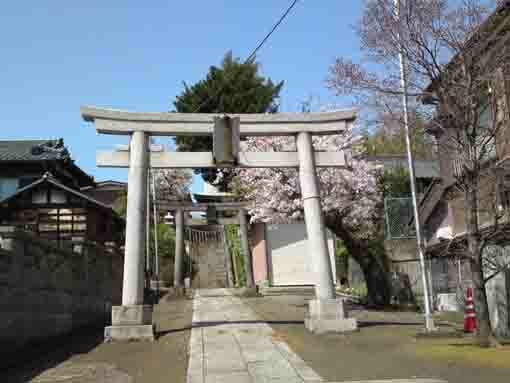 Terauchi Myoken Jinaja Shrine is a small old shrine standing on a small hill in the residential area spreading in the low hilly areas of Katsushika in the western Funabashi City in Chiba prefecture. 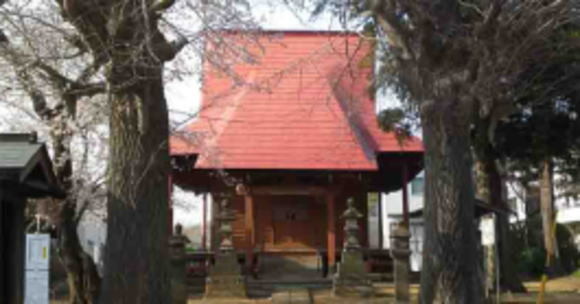 According to an old history and guide book 'Katsushika Shiryaku', this shrine is a branch shrine of Chiba Myoken Jinja Shrine is built as the guardian deity of Terauchi area. And it was built over 500 hundred years ago since the signboard beside the gate put in 1961 tells that an old pine tree dead recently was over 500 years old tree, and Kafu Nagai, a famous writer, visited it in Febraury 2nd of 1946 and told it in his diary 'Danchotei Nichijo' that he had seen an old large pine tree. 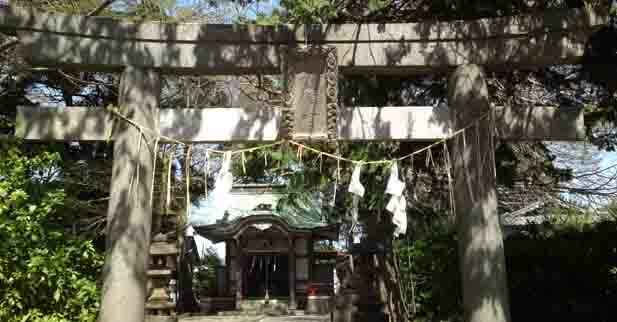 That large pine tree might be the symbol of this shrine. 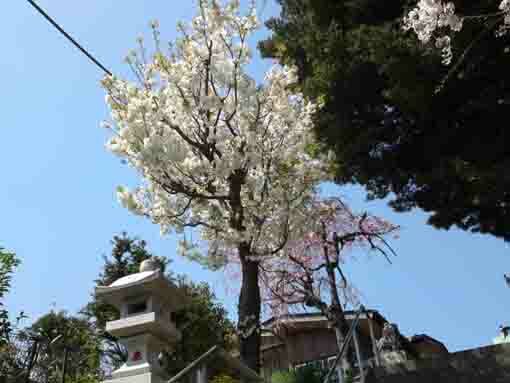 Though there are no pine trees, a large greenish hackberry on the top of stone steps looks like telling the place of this shrine. 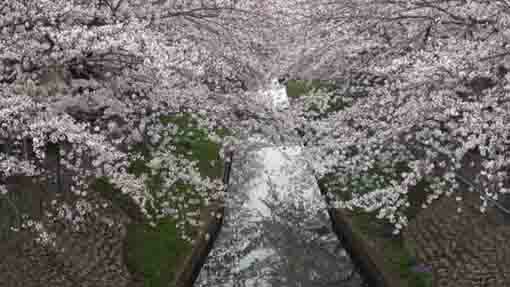 And some cherry trees in the site blooming in spring welcome visitors gently. 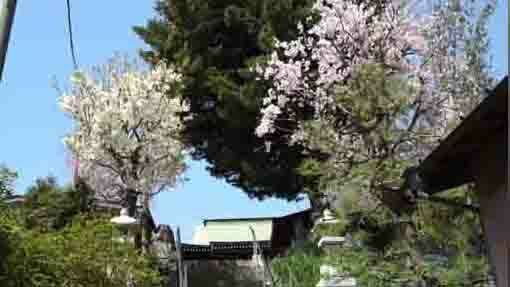 Why don't you visit Terauchi Myoken Jinja Shrine? Ameno Minakanushi no Kami is dedicated in the shrine. 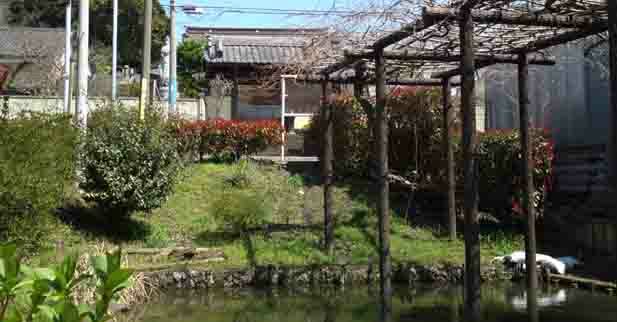 The land where this shrine is standing were rice fields in several decades ago, and it had been a coop with white sand and beautiful pine trees in thousand years ago. 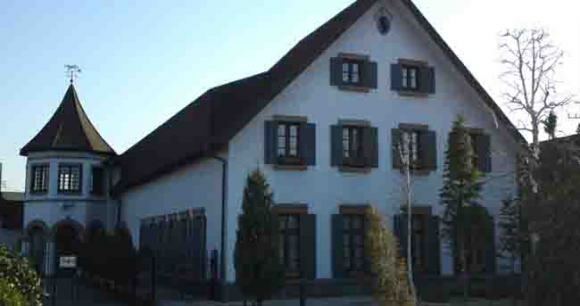 On the plateau around it, people have lived since the classic ages. The area has been called Terauchi, it was in between Hongo in the westand Innai in the east, they were independent villages in each. 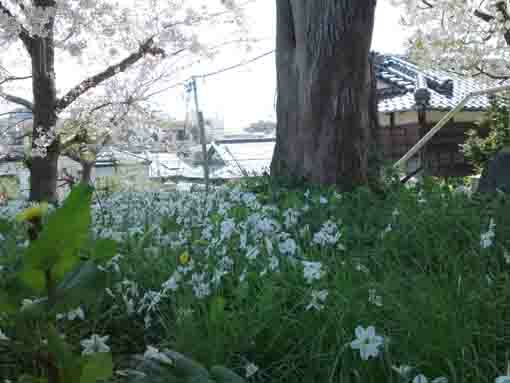 These villages begun since Kamakura Period. 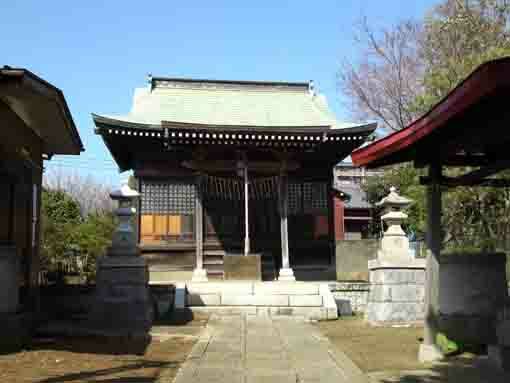 Innai means 'in the temple' and Terauchi has the same meanings, so they were in each temples' lands. The deity in this shrine is appeared on the first volume of Kojiki (Japanese oldest History Book), he is the god of the creation. And he is also called Myoken Taishin (Myoken the Great) since he is the god of Polar Star, itis called Hokushin Myoken in Japan. He is the god of childbirth, children, study, business and avoiding evil directions. 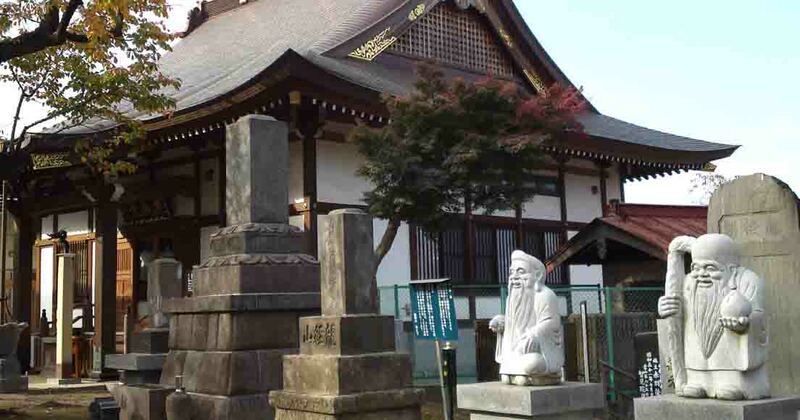 Myoken was believed by Chiba Family in Shimousa and the family gained power in the Middle Ages, and charitable men in this area built this shrine and dedicated Myokensama as the guardian deity of the village at that time. 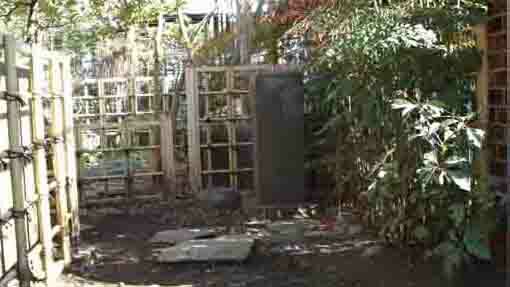 A old pine tree in the shrine dead recently had been over 500 year old and it showed how old Myoken Jinja could be. According to the first part of Funabashishi-shi (the history of Funabashi), Terauchi Myoken Jinaja Shrine is only the shrine that uses the god's name on its own name even though there were some small Myoken Shrine in each village in the western Funabashi area near it such as Futago, Hongo, Nishi Kaijin. That tells that it has long history. 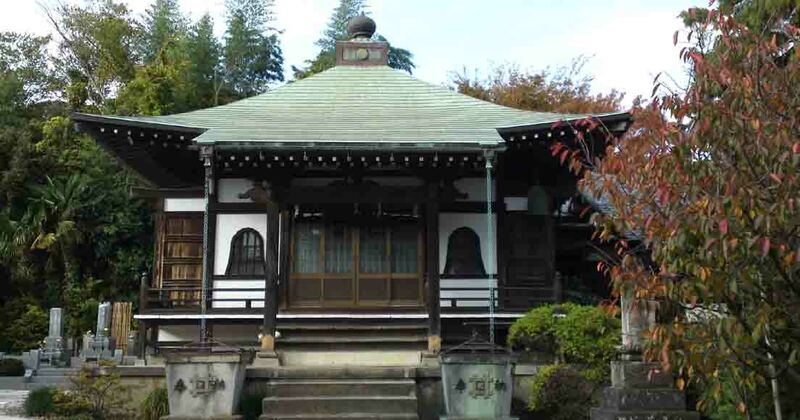 The main hall of it was built in late Edo period. And the hall, the office, the washbasin, the Komainu Dogs, the stone lumps, the Torii Gate, the stone steps and the approach road in it was repaired by the supporters in 1972. 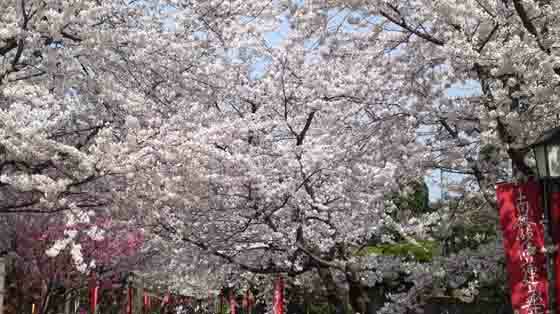 The annual festival is held in October 9th, and Niiname Festival is in late November. 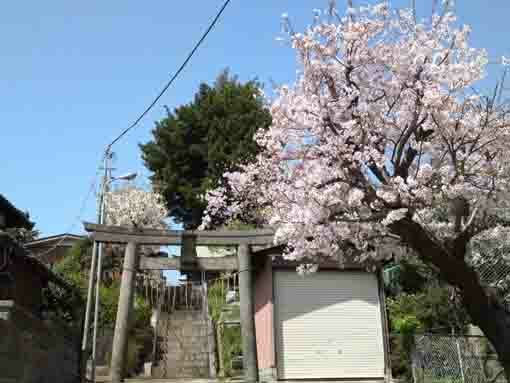 It is the wonderful year of Showa 60, so we write this record of Terauchi Myoken Jinja Shrine. The Fine day in November of 1986. 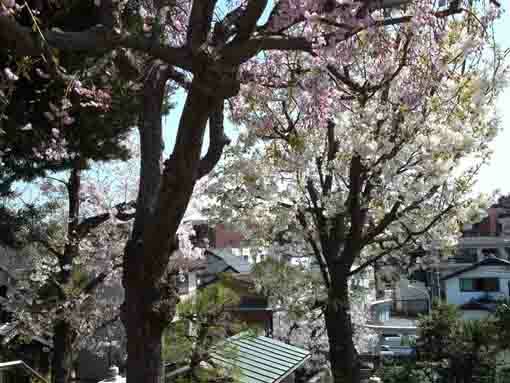 By the Chief Priest and the Supporters of Terauchi Myoken Jinja Shrine. 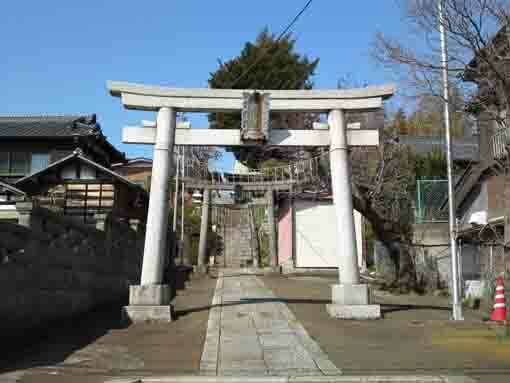 Terauchi Myoken Jinja Shrine that is to say a branch shrine of Chiba Myoken Jinja Shrine has been believed as the guardian deity of this village since people had lived around it. However, it has been repaired for a long time and the supporters of the shrine discussed and founded a committee to rebuild it. Now all supporters agreed and started rebuilding it. In May 8th of1972, the ceremonies of purifying the site and moving the deity while the reconstruction of the site were held and the topping out ceremony was in July 31st. The reconstructiing work is in progress rapidly, the main hall, the office, the washbasin, the Komainu Dogs, the stone lumps, the Torii Gate, the stone steps and the approach road were newly rebuilt. In December 26th, the ceremony of moving the deity to the new shrine was held and the work was completed. This is scribed on the stone tablet to respect the mighty power and to progress the town. The fine day in December 1972. 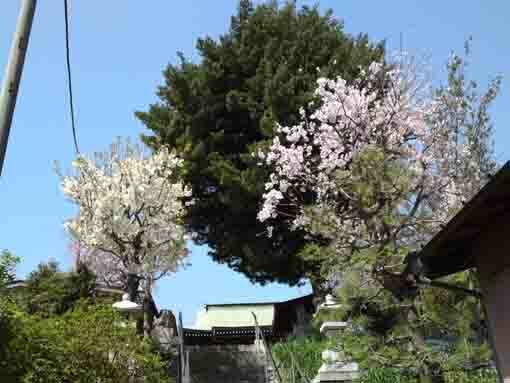 By the Chief Priest and the Chief of the Supporters of Terauchi Myoken Jinja Shrine. 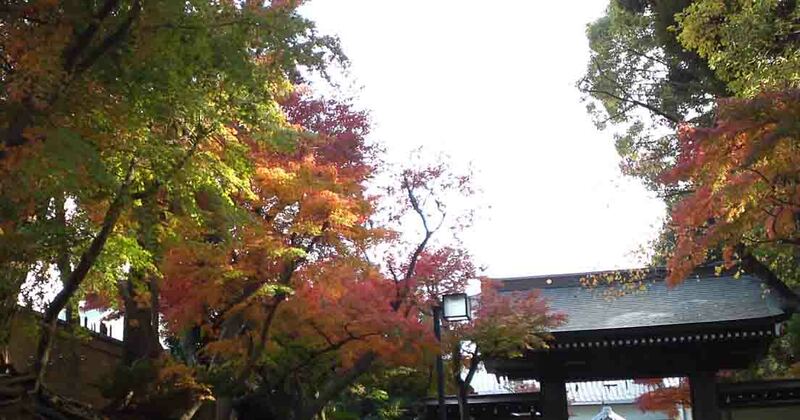 Terauchi Myoken Jinja Shrine has great accessibilities from both Narita and Haneda International Airport. 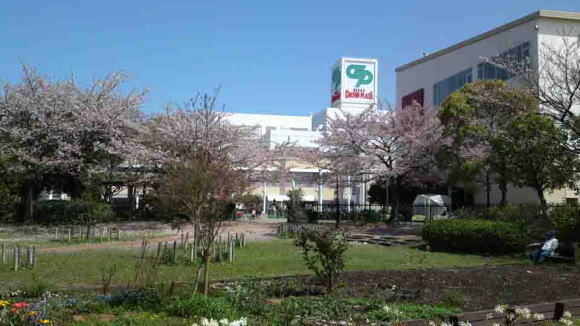 Take 7 minute walk from Keisei Nishifuna Sta, take 9 minute walk from Higashi Nakayama Sta, and take 15 minute walk from Nishi Funabashi Sta.